"So, he’s responsible for a mess," she said. "And if he wants to become governor he should fix the mess before he leaves it to somebody else." Baker, running for governor in a crowded Democratic primary field, argued during an interview that his travails with the county school system help make the case for his gubernatorial bid. "I think this is what puts me in the best position to lead the state as governor," he explained. "If you look at the tough challenges that we’ve had in the county, they are the same challenges that people face throughout school systems in the state." As a leader, he said, you have to be able to take on those issues, deal with them up front, and do the best for the citizens and residents of the state. Baker’s opposition to the county’s school systems’ various forms of management by elected school boards dates back nearly two decades. As chairman of the county House delegation in 2002, he led a successful drive in the General Assembly to replace the elected board with one appointed by the governor and county executive. A decade later, as county executive, he convinced his legislative colleagues to allow him to wrest control of the schools from an elected board that had resurfaced in 2006. "It was a period where nothing was happening in the school system," Baker explained. "There was a lot of corruption, there were issues with misuse of funds and credit cards. Trips that were taken by school board members. That, and I think frustration was not only with the residents of the county but also with the state legislature." Under the bill passed in 2013, the county executive has the power to both hire the school system’s chief executive officer and appoint the chairman and vice-chairman of the school board. That structure has protected controversial schools’ chief Kevin Maxwell, who Hogan and others say should be fired. Mitchell-Dudley, the union leader, complains that Baker has effectively done away with checks and balances. "When the most important part of your budget, which is your school system, is a publicity nightmare then you really need to re-evaluate how it’s structured and how it’s doing," she said. With his race for the governor’s mansion, Baker, 59, is capping a career that began with a star turn in the General Assembly, where he rose quickly to be leader of his county’s House delegation and was a protégé of the highly respected appropriations committee chairman Pete Rawlings. After two terms, Baker took a pass on what looked like a safe bid for the state Senate to pursue a quest for the county executive post. He lost twice, but won the 2010 race as two-term executive Jack Johnson headed off to jail on political corruption charges, leaving Baker to clean up a mess. And then there were the natural disasters; a record breaking snowstorm right after he took office, a deadly derecho with sustained 70 mph winds that snapped trees and power lines and caused deaths across the state and storms that led to flash flooding. “So there was a lot going on when I took over,” he said. Congressman Steny Hoyer, a long-time friend who has endorsed Baker for governor, said he thinks that drama put a special burden on Baker to make clear that all pols aren’t crooks. "Prince Georges County had an image that perhaps our politicians weren’t honest. 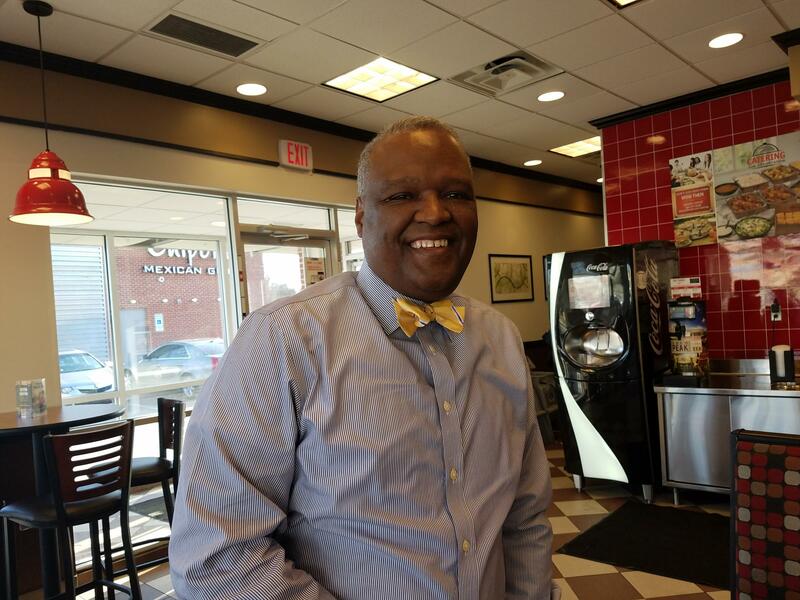 And I think Rushern Baker has reinstated an image of integrity and honesty and commitment to good government," Hoyer said "So, I think from that standpoint, he’s been an excellent county executive." Baker also enjoys support, or at least kind thoughts, from the many politicians of both parties he has worked with over the last three decades. They include former Lt. Gov. Michael Steele, a long-time Prince Georges County resident, who served as national Republican Party chairman. 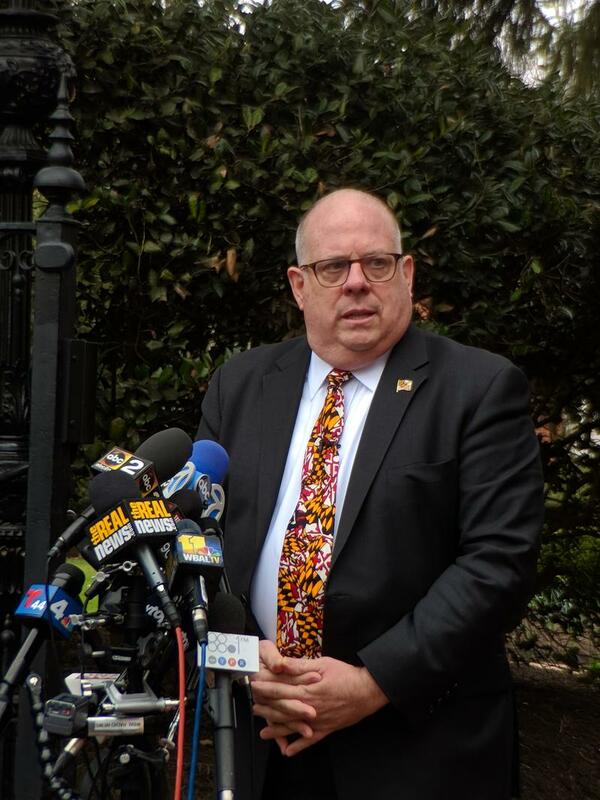 He’s a strong supporter of incumbent Republican Governor Larry Hogan, but also a fan of Baker’s. "He’s a real good guy," Steele said. "He’s a very dedicated public servant and has done a good job here in the county." Politics and policy aside, perhaps the most compelling element of the Baker campaign is the story of how he and his family have dealt with his wife, Christa’s, diagnosis with early onset dementia. They got the news shortly before he was elected to his first term as county executive. Both were once young community activist lawyers, who got their law degrees from Howard University. Christa worked at the federal level specializing in civil rights and protecting Historically Black Colleges and Universities. Baker spent those years between county executive bids as leader of a non-profit that recruits and trains teachers to work in schools with diverse populations and urban problems. "I tell people I spent half my time as a public servant in elective office and the other half as a public servant running two non-profits," he said. "I think all of those experiences come together to make what I believe will make the state better." But a video on Baker’s campaign website titled the "First Family’s Long Goodbye" tells a sadder story. Baker is feeding Christa on the video because he says she’s way past doing that by herself. "She’s doing good," he insisted, his voice cracking. "I mean everything considered. She’s not verbal anymore and doesn’t walk, but you know we are blessed. We’ve got a great support group." Baker says he’s come to realize that a lot of folks deal with such traumas. "And yet, they get up and go to work every day and so with me, especially giving the blessings that I have, I thought it was important that if I felt an obligation to do that." What also keeps him going, Baker said is that he feels like he is keeping part of a bargain he and Christa made many years ago. "This is something that my wife and I have dedicated our lives to: public service." As it happens, Hogan has his own personal story of a battle with cancer that seemed to boost his poll numbers with voters. Michael Steele says those tales would be part of the story line if Baker wins the Democratic nomination. "But I think in terms of how the campaigns--each of the campaigns—ultimately come out, that’s going to be how these men have governed and managed the state and the county respectively," Steele said. With Baker leading so far in Democratic polls, and Hogan not facing any Republican challenger, it looks like we may soon find out. A new poll released Tuesday shows that Gov. Larry Hogan is as popular as ever. With the election a little more than six months away, 70 percent of the Maryland residents polled by Goucher College approve of the way he is doing his job. But the poll also shows that Hogan’s re-election is far from a sure thing. 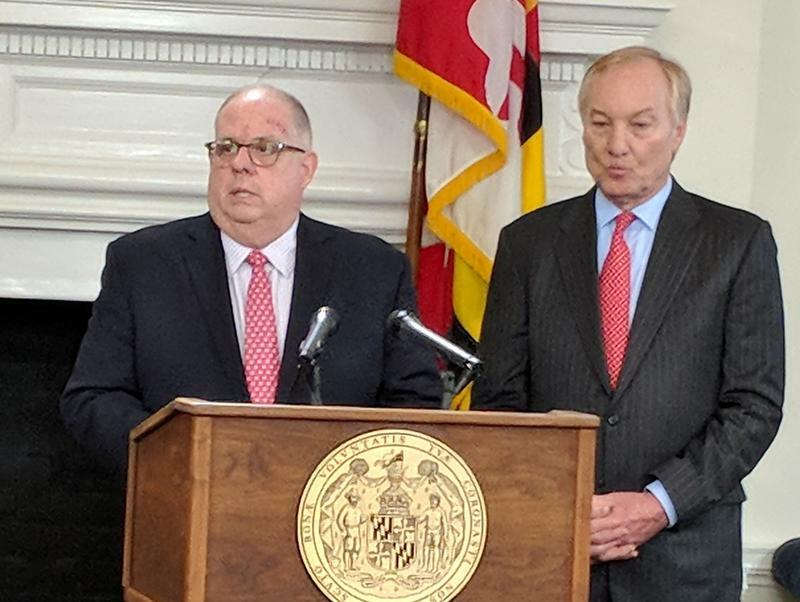 Less than half of likely voters said they would pick Hogan over one of seven Democrats vying to unseat him, and about a quarter said they were undecided. The General Assembly voted Thursday to override Gov. 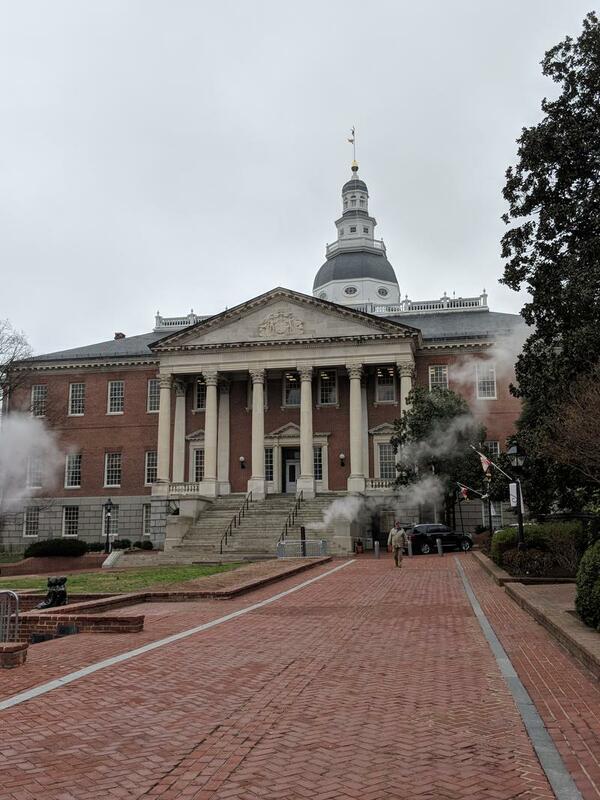 Larry Hogan’s veto of two school-focused bills. One of these takes oversight of school construction projects away from the Board of Public Works, which Hogan presides over.